Feeling bad about much of the news these days? Lucky for you it’s now the season of giving, and take it from this celebrity dentist, giving will help you feel better. 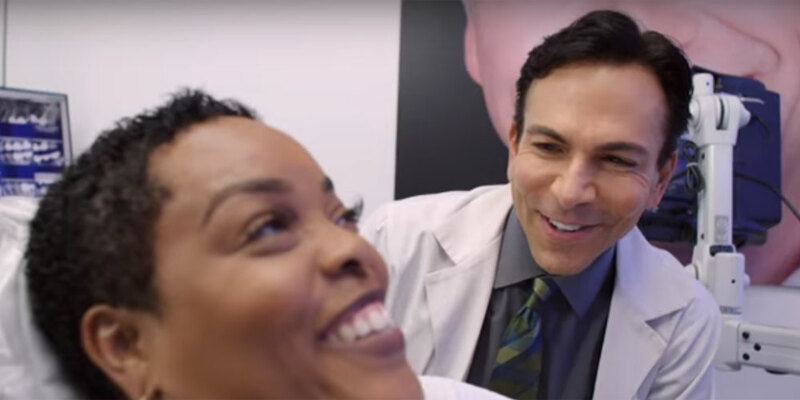 Dorfman does that not only through his cosmetic dentistry practice which focuses on improving the appearance of people’s teeth, but also through his passion project LEAP Foundation. LEAP is a one-week leadership program for high school and college students from around the world. Its mentor workshop gives students the opportunity to meet accomplished mentors in a variety of fields and industries. A former participant in LEAP’s inaugural program at age 16, Charlie Gallagher went on to become the nonprofit’s executive director two years ago. “There are so many things from LEAP that I learned that I would have never had the opportunity to learn from a curriculum,” Gallagher told HooplaHa. Today, he’s using that knowledge to oversee everything from marketing to finances and communications for the LEAP organization, and leveraging Dell Inspiron desktops to do it.